Will Valhalla smell of sugar beets being processed into sugar? Airsplat is OK in my book! What helped you grow your beard? I cant seem to grow one hardly at all. I’ve just now come across your page here, and I dig what I’m seeing thus far. I’m a 43yr old n00b from Vancouver, BC. My question is: Aside from scanning, and looking for the unusual, what else can I do to excel in my stalking (and not getting lit-up) skills? Thank you, sir!!! Be a head of the opposition. I try and think of where they will go not where they are, a mental lead, if you will. So when a game starts I’m not running straight at the enemy (not always, sometimes I do for fun, and I get shot fast lol.) I am usually flanking them. Keep your rifle or pistol up in what is called High Ready, having your rifle/pistil almost completely up in the firing position. unless you are coming to a corner. It’s airsoft and it’s fun, but if you want to play hard have at least one other person with you… strength in numbers. The only time I’m really ever alone in a game is when I play the sniper role and usually I have a spotter with me… but not always. Have fun and keep the sport going. I like to welcome new players as my team host beginner games most saturdays. Often I try to get the parents involved by inviting them out after wearing ppe to take pics or even play. My club also has loaner guns so a newer player can try out for a game what a higher end aeg feels like. For us in G.S.X. we feel that airsoft should be inclusive and that more experienced players should help the new players have a great day. Very much agree! Your team does a great job with welcoming new and young players. Previous Previous post: YEAR TO DATE! AIRSOFT LIFE!! 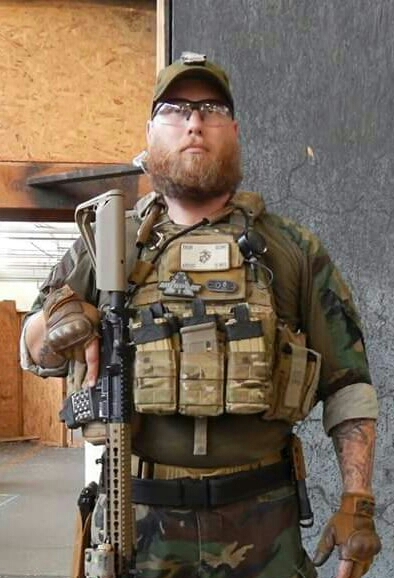 Next Next post: VETERAN AIRSOFTERS, THE NOOBS AND SAFETY!